Fezzari’ bicycles are handmade of the finest components. Fezzari is committed to offering products of superior performance, quality, and value. These are high grade, performance-oriented, race-ready bicycles. The Fezzari portfolio of bicycles includes a range of high octane full-suspension mountain bikes as well as competition caliber road cycles. Fullerton Loop Ca., Big Bear Ca. and the streets of Orange County Ca. This was love at first ride! My first experience with the Wiki Peak was on the trails of the Fullerton Loop. Initially I was pretty impressed with the choice of components, style and comfort level the Wiki Peak provided. Out on the street the bike was very quick and nimble. It felt like it was riding a road bike but with the comfort of a suspension bike. The WTB Weirwolf tires provided great traction on the streets and on the trails. The Fezzari’ Wiki Peak Comp mountain bike features a Fezzari Racing Design 4-Bar Link Premium Aluminum full-suspension frame, with Shimano’ Deore 24-speed derailleur, Apro FD-R Rebound Adjust rear shock, Marzocchi’ MZ Comp fork, WTB’ Weirwolf all-terrain tires, Tektro’ IO disc brakes and Shimano’ brake levers. The only complaint I really had was its weight. But I expected it to be heavier than most bikes due to its 4 bar suspension and 4 inch travel fork. In a sense you have to sacrifice one for the other. You either get a hard tail that has 3 inches of travel that is super light or you get a full suspension bike that can handle the abuse of the streets and trails with 4 inches of travel on both ends. Though it is heavier than a hardtail, the Wiki Peak’s weight is comparable to any other full suspension bike on the market. Other than that, I didn’t feel like there were any issues that I found that killed my love for the Wiki Peak. The Fezzari Wiki Peak has become my favorite bike. 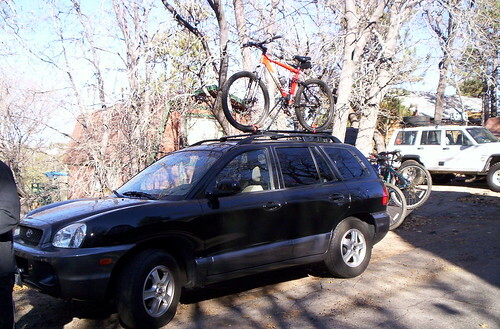 I also own a Giant Warp with all the sweet hook-ups which was my trail bike. 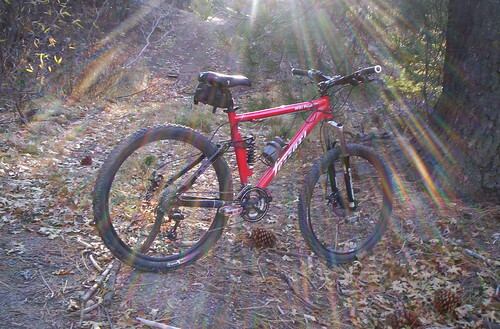 I used that bike for almost all my trail riding. It’s also my race bike too. But now, the Warp is hanging in my garage on the Bike Slingger collecting dust. I haven’t even been on my Warp since my last race back in early November. To meet or exceed the quality and value of the leading brands in the industry. Well, Fezzari met their goals and went way above them. The Wiki Peak has exceeded all of my expectations. This bike is a great value. You can order them online or at the stores from Costco. Yes Costco! Most would think that Costco bikes are just like Wal-Mart bikes. But the Fezzari brand is far from it! Fezzari is a diamond in the rough! Think about it, why spend hundreds more at a LBS for an equivalent bike when you can save so much by purchasing them at Costco. Like most families in this nation, you probably already have a membership so go down there and check them out! I’ve truly enjoyed my experiences with the Wiki Peak. 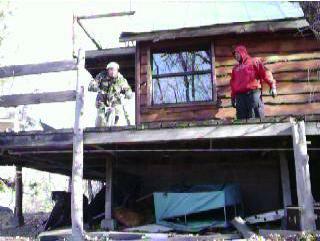 Heck, I was even able to do something I’ve never done before on ANY bike, and that is for me to jump a 5 footer. 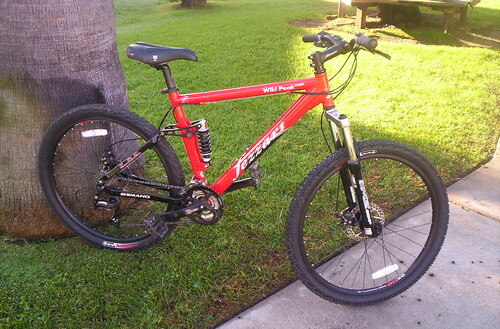 I noticed your review on the Fezzari Wiki Peak Comp bike. I’m interested in the Fezzari Kings Peak XC bike. Have you tested out that bike. I’m in CA, and I must be honest I have never heard of a Fezzari Mountain Bike. But I do know that Costco stands behind everything they sell, so I am very tempted to just get it through Costco. Can you tell me the differance between the Kings Peak and the one you tested??? We haven’t tested the Kings Peak yet. There is a huge difference between the Kings Peak and Wiki Peak. 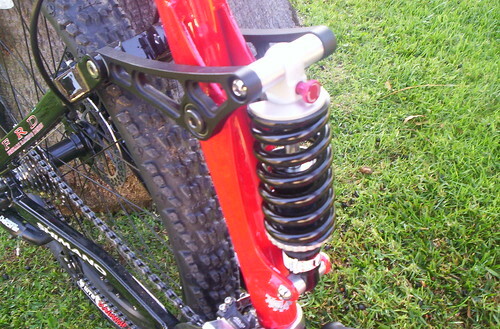 For staters, the Wiki is a full suspension bike, the Kings Peak is a hard tail, meaning only the fork has suspension ability. The thing with Fez that makes them cool is the fact that their bikes uses the same industry standard parts. Each of the components can be easily replaced by your local bike shop(lbs). But Fezzari is a pretty good company. If you call them for any reason, let them know that you got your info from us. Chris will take good care of you. We did have couple issues with our test bike and the folks at Fez were more than willing to help us out. I don’t see why not. 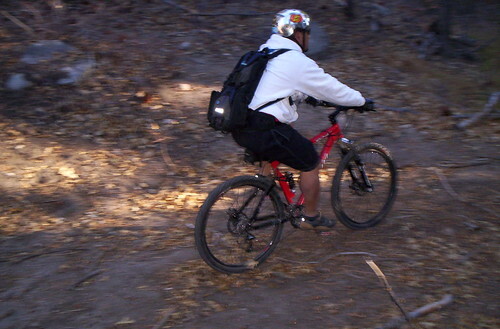 I’ve taken the Wiki/Abajo in some of the toughest trails here in So Cal. It does have enough clearance 4″ in the front and 4″ in the back to be able to absorb baby heads and some drops.